There's a lot of money in pro basketball at the highest level. The arena deal is worth around a half-billion dollars, and the stars on the court bring in salaries in the millions of dollars. Even the lowest-paid rookies earn the league minimum of more than $500,000 a year. But a lawsuit filed last year alleges that one group of employees is not getting a windfall on payday. Former Bucks dance team member Lauren Herington alleges she was grossly underpaid and illegally required to pay certain out-of-pocket expenses. Her lawsuit comes on the heels of several filed on behalf of NFL cheerleaders. It's also the first suit filed against an NBA team. But a report in The Guardian says Herington's experiences are just the tip of the iceberg. California-based writer Tess Barker actually tried out for one dance team squad herself, and she wrote the article. Based on her own and Herington's personal experiences, women who want to pursue professional dancing often get taken advantage of because the opportunity to be affiliated with a professional sports team is presented as a fortunate happenstance versus the dedication every woman puts into it. "It's been presented to them as something that they're going to be very lucky if they get, and they're so focused on getting this job that by the time they get it they want it so bad," explains Barker. "And they're not presented with their salary until they've already made the team, and in Lauren Herington's case, sometimes made a move to already work for the team." In addition to not disclosing the amount of money cheerleaders would be paid, cheerleaders are also required to pay other expenses out-of-pocket, such as taking time off for a month-long unpaid boot camp, keeping up with taxing fitness standards that included workouts every day of the week, hair and makeup appointments and many other obligations that would go either under paid or unpaid, according to Barker. "I think they really do a good job of obscuring the working conditions of what life is going to be like, post-being hired," she says. In most cases, potential dancers don't even know if they will be hired until after the unpaid boot camp. If dancers are offered a contract, there is no time offered to look over or discuss the agreement or compensation, Barker says. Lauren Herington estimated that her compensation for performances during games, practices and other Bucks events did not even average out to minimum wage, and she often worked one to two other jobs to compensate for her low wages dancing for the team. "On top of the actual dancing, you have to be doing a lot of cross training and strength training in the gym. Being a professional dancer is very skilled labor and it's something that not a lot of people can do, which is why it's so absurd that they're not even making minimum wage," Barker says. "Because if anyone thinks that this is just a hobby I would encourage them to do a back hand spring or a pyramid and see how well they do." Barker further explains that currently NFL and NBA cheerleading teams cannot collectively negotiate their own working conditions, as employment status varies from team to team. Many teams get away with the underpayment of dancers by classifying them as "contractors," according to The Guardian report. This status is very misleading, Barker says, as cheerleaders are hired directly by teams as a "high profile" member of a sports organization to represent not just the teams but the towns they play for. "They might just see (the cheerleaders) as people who come out and do a routine in between quarters of the game, but they're also an important marketing tool for these teams," Barker explains. "They're a tool that's really making these teams a lot of money and helping build enthusiasm for the team in their hometown." The Milwaukee Bucks strongly disagree with the claims made in the federal lawsuit. The lawsuit presents inaccurate information that creates a false picture of how we operate. The Bucks value the contributions our dancers make to the team. We treat all of our employees fairly, including our Bucks dancers, and pay them fairly and in compliance with federal and state law. We believe the lawsuit to be without merit and will contest these allegations in court. The Milwaukee Common Council on Tuesday approved spending $47 million to help the Bucks build a new downtown arena and entertainment center. The city and team had worked out differences on a few issues that had the potential to derail the project. 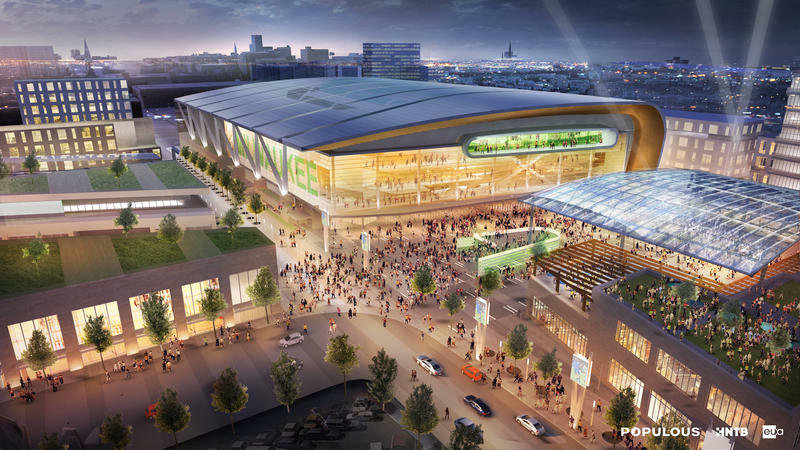 The Milwaukee Bucks owners promise to transform the former freeway land into a basketball arena and entertainment district that will create more than 3,700 jobs, about 1,000 of them permanent. The owners and Milwaukee County Executive Chris Abele announced the deal Wednesday afternoon, on the corner of 4th and Juneau, with representatives of organized labor in attendance. Planners say that over the next nine years, they will create $400 million in mixed-use development including retail space, apartments and a public plaza, in addition to a basketball arena. Monday the city of Milwaukee will begin the formal process of considering financing for a new Bucks arena. 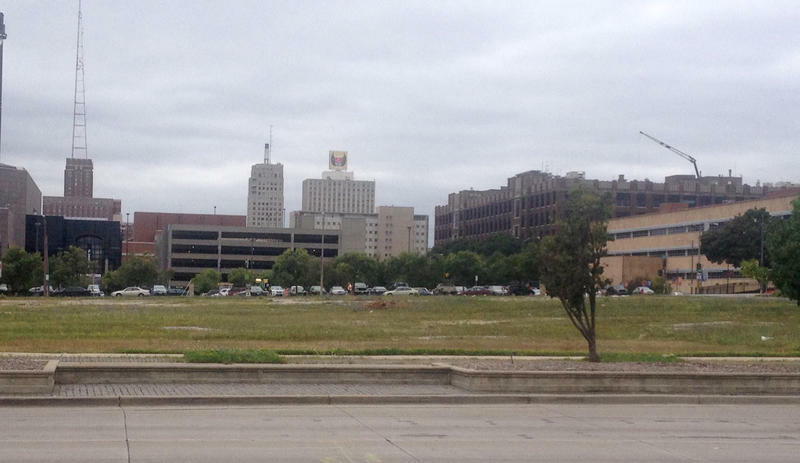 Earlier this summer, the state agreed to its share of the $500 million project. But most of the public funding - $250 million before interest, would come from local sources – Milwaukee County, the City Center District and the city. The impacts remain in dispute. Gov. Walker signed the state share of the arena into law a few weeks back.